Jihad Watch : The recent news that the Kurdish government in northern Iraq has imposed a variety of special taxes and fees on those who live in the town of Ankawa should raise an eyebrow or two. Business owners in Ankawa — but nowhere else within the Kurdish-run area — will now have to pay a fee to renew their licenses to do business; before, the license renewal was free. Furthermore, a new 10% tax on the sale of property in Ankawa replaces a previous 6% tax. Nowhere else in the Kurdish-run area are such taxes and fees being imposed. 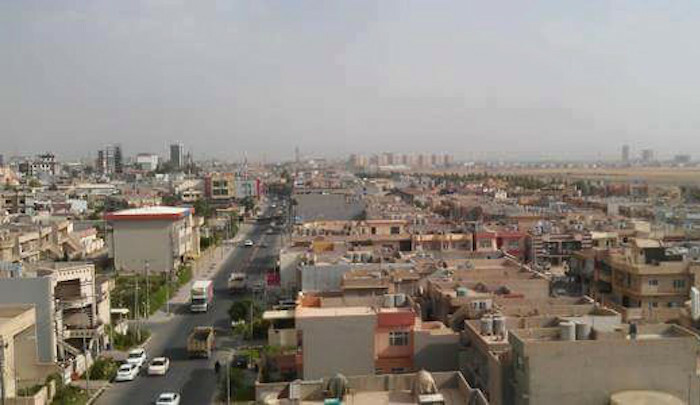 Since Ankawa is 80% Christian, the only town in Kurdish Iraq with such a high Christian population, it is clear that the tax is really meant to fall almost entirely on Christians, without its being described as such. As one local official admitted, these fees and taxes constitute a kind of jizyah, the tax imposed on non-Muslims in a Muslim polity in order that they may continue to observe their religion. The Kurds have worked closely with the Americans, to whose protection they owe a lot, and they traditionally have been far more secular than the Arabs — for Islam, as Anwar Sheikh has said, is the vehicle for Arab supremacism, and the Kurds have been on the receiving end of that Arab supremacism (182,000 were murdered by Saddam Hussein’s Arab soldiers during Operation Anfal). But even for our allies the Kurds, the jizyah is apparently still to be imposed on the local Christians.